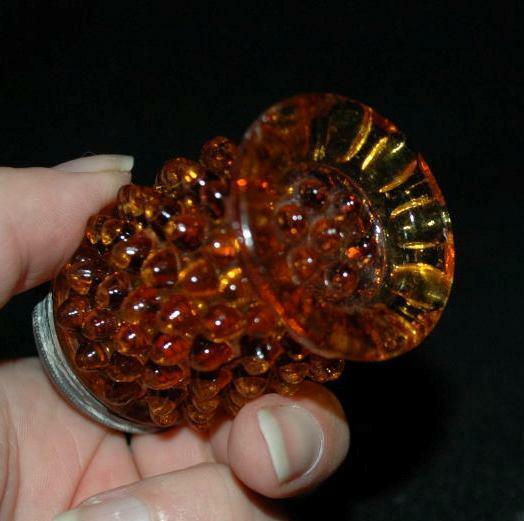 Fenton Amber Glass Hobnail Salt Shaker, single. 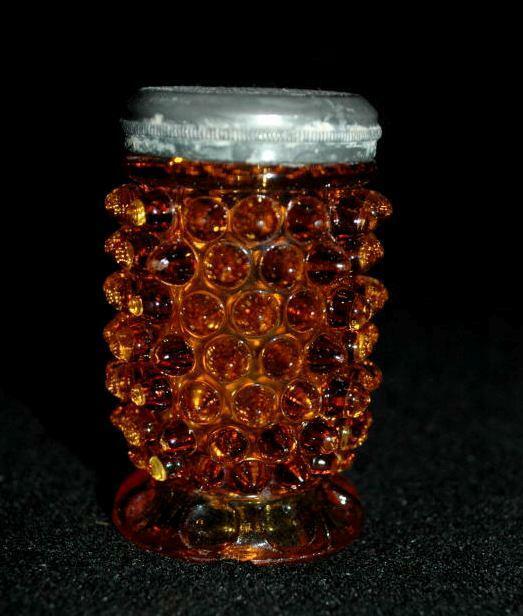 It is 2.5" tall and the condition is very good. 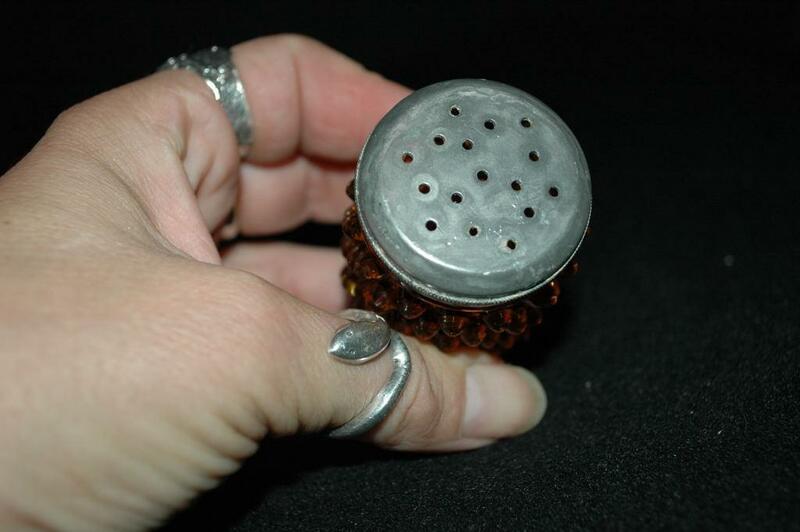 The metal top is tarnished but still very usable.